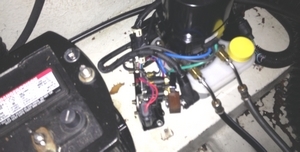 The following are examples of repairs and small projects that I have completed on my personal boat over the last ten years. These would apply to many production fiberglass boats. Since WEST SYSTEM Epoxy has a shelf life measured in years, it is easy to keep it on your shelf and tackle these tasks when it’s convenient. The extruded aluminum seat post and cast aluminum seat base often will wear on each other over time, creating a loose fit. 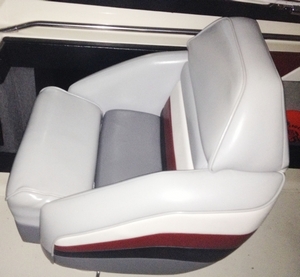 This can make the seat feel unstable and uncomfortable in rough water. The extruded aluminum seat post and cast aluminum seat base often will wear on each other over time, creating a loose fit. This can make the seat feel unstable and uncomfortable in rough water. 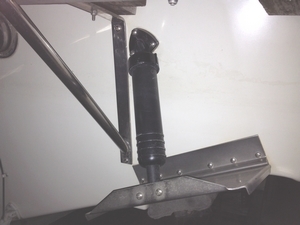 Following a procedure similar to the concept of our rudder shaft repair (see Fiberglass Repair Manual page 60) I applied a coating of WEST SYSTEM 105 Resin/ 205 Hardener/423 Graphite Powder and allowed it to cure. I then lightly sanded it until the seat would slide back onto the post, and rotated it several times until it turned with just a slight resistance. They have remained secure for several seasons now. When my original trim pump would not hold up the outdrive any longer it was time to replace it. The new updated pump had a different mounting bracket so the mounting holes did not align in with the old holes in the boat. Since this is likely to get wet at some point I wanted to seal up the old holes permanently so I filled them with thickened epoxy. Stern drives boats require the plywood core in the transom laminate to be strong enough to withstand the force of the outdrive when underway. 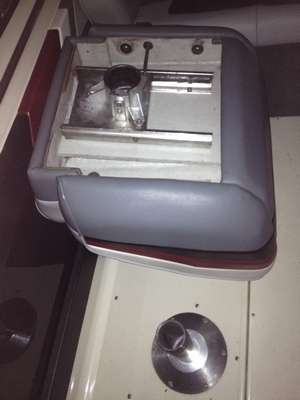 When I purchased my boat it was already 17 years old and appeared to have had some of its hardware removed and reinstalled since it left the factory. I wanted to ensure the transom core would stay dry so I sealed the wood inside the screw holes with epoxy for the trim tabs, swim platform brackets, pitot tube clamps, and on the wood exposed by the exhaust through-hulls. 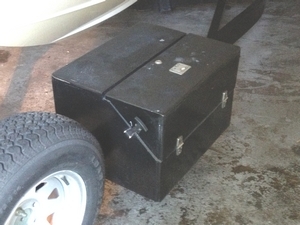 I built a relatively simple storage box for my trailer using ¾” plywood coated and bonded with WEST SYSTEM Epoxy. It provides a place to store my spare trailer parts, wheel chocks and tie downs. In addition, it makes a great step when loading the boat back on the trailer. This tool box has been attached to my trailer for over ten years and has seen at least 20,000 miles of highway travel. I wrote an article about building this cooler in EPOXYWORKS 30. It has worked well and optimized the space in the small cuddy cabin. 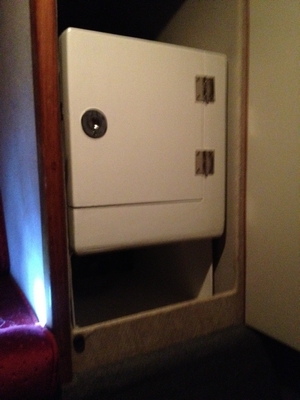 The lag bolts that fasten the carpeted wooden bunks to the trailer can be problematic. The wood often stays very wet because of the carpet and then the bolts become loose. 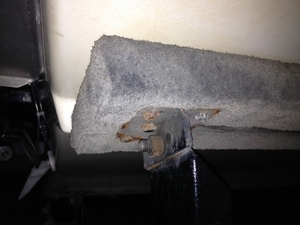 If the bolts fall out the bunk can become unattached when the boat is loaded. 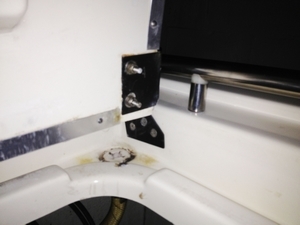 Thru bolting may work in some cases but there is the risk of the bolt head contacting the boat hull. By simply coating the screw hole in the wood with epoxy and then screwing in the lag bolt in, I am assured that they will stay in place. 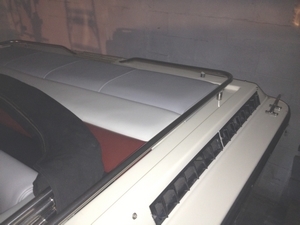 The plywood that is used for the cushions of my engine hatch upholstery is also used as the backers for the hinges. Over time the plywood in the area became slightly deteriorated and warped from years of moisture. I removed the cushion from the engine hatch and pulled the upholstery back from the corners. I dried the wood and then saturated it with epoxy, restoring its strength. This was an easy and cost effective way to get these very important hinges bolted to a solid surface. Most snaps for covers are either riveted or screwed right into the fiberglass laminate with no access to the backside. As with many older boats I have had some of these come loose. 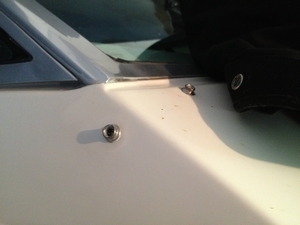 By coating the screw hole with epoxy the snap can be screwed back into place easily and securely.